Happy Hour! Half Price Cocktails until 6:30 pm. Did you miss the painting you wanted to do? It still isn’t back on the calendar? Now is your chance to paint it. Our West Fargo location has a full bar, so you must be 21+ with a valid ID to attend. 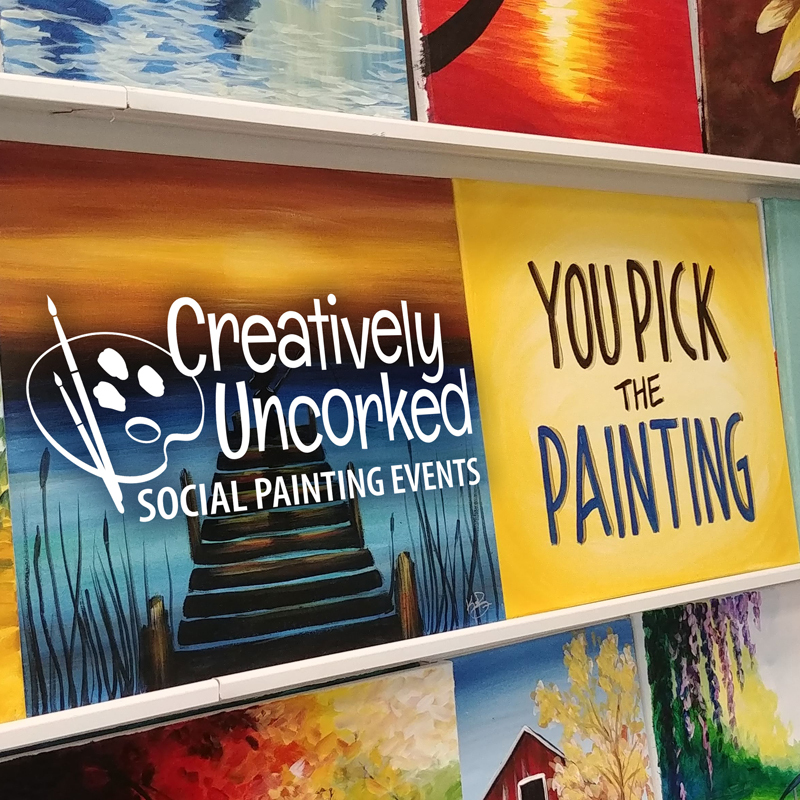 With the Creatively Uncorked You Pick the Painting event, you can come in and choose the painting you want to do right from the wall or our painting library. Everyone can paint something different. This is a three-hour event. Due to the advance prep work necessary, special events are not available at You Pick the Painting. Artists will be on hand to offer guidance and encouragement. 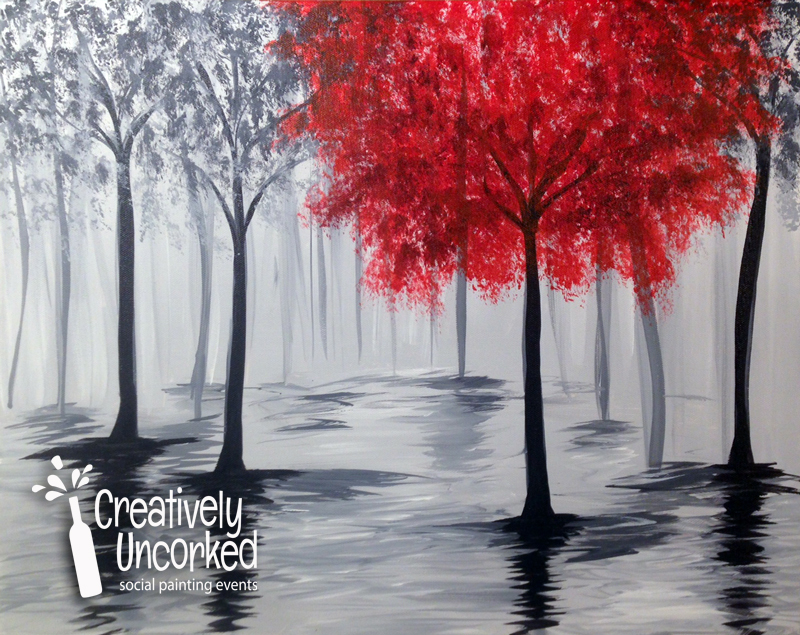 If you’d prefer step-by-step instruction, we recommend you sign up for one of our instructor-led paint sessions instead. 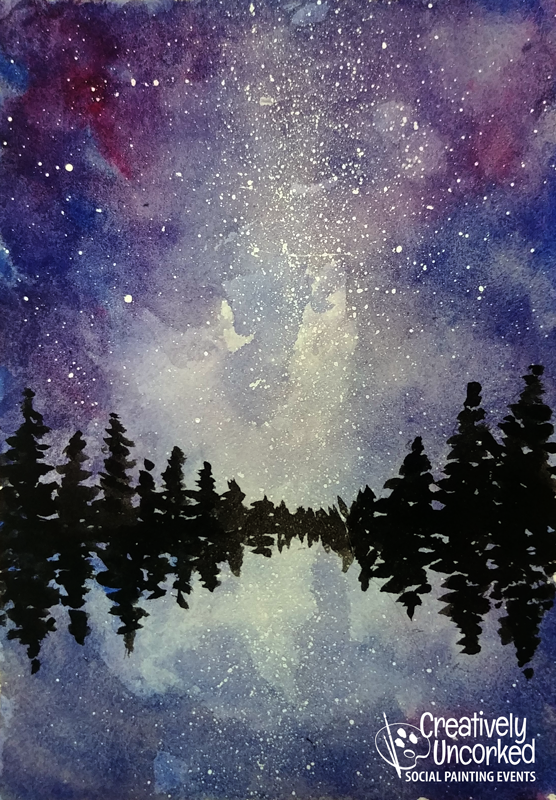 Just ask if you’d like to see a painting technique demonstrated or need help mixing colors. Doors and bar open one hour before the event. Try to get there early to get signed in, get uncorked and find your seat. Aprons will be provided, but consider wearing something you wouldn’t mind getting paint on. Register early, class size is limited. We do not have reserved seating, so if you are attending with a group, one of your group should be there early enough to save seats for everyone. To reserve your seat, sign up and pay in advance through the website. Sign up early, events do sell out. Our studio is for our painters only. Everyone needs a paid seat to stay on premises during all classes. Private Party for Tax Season has ended!